If you've been eager to get your hands on The Behemoth's next offering, you're in luck. Pit People is entering Steam Early Access and the Xbox Game Preview program next month. Pit People is a bit of a departure from The Behemoth's previous titles as it swaps out much of the action that was found in those games for a more tactical approach. 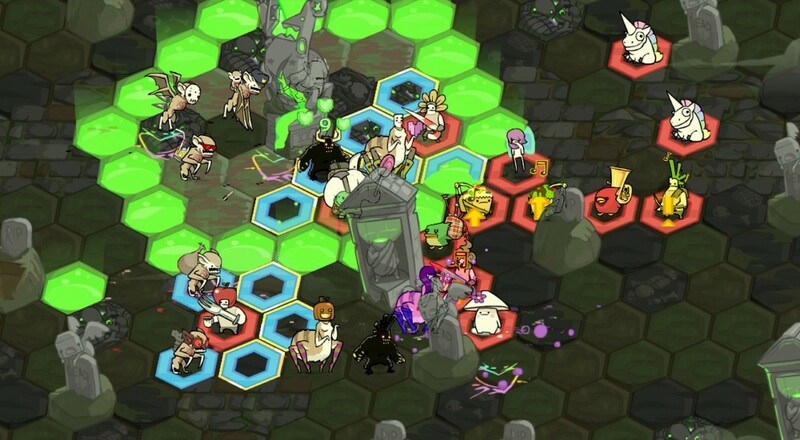 You and your co-op buddy will control units on a hex-based grid and issue commands for where they move and attack. You'll be able to recruit new types of units and outfit them with gear in order to make your army more deadly. The title will officially go on sale for $15 on January 13. It will support co-op, both online and local, throughout the campaign and in the other modes, like quests and Unfair Challenge. It's worth noting that the Steam Early Access and the Xbox Game Preview versions of the game are different, so buying one does not get you the other one to boot (i.e., this isn't an Xbox Play Anywhere title). Pit People Closed Beta Registrations are Open! Page created in 0.2405 seconds.